Доктор биологических наук, профессор РАН, зав. лаб. Института биологии Коми НЦ УрО РАН. Zainullin V.G., Moskalev A.A., Shaposhnikov M.V., Taskaev A.I. The modern aspects of Drosophila melanogaster radiobiology. Apoptosis and aging // Low doses of radiation: are they dangerous? / Ed. E.B. Burlakova — NY: Nova Science Publishers, Inc., 2000.— P. 61-75. Moskalev A. Radiation-induced life span alteration of Drosophila lines with genotype differences // Biogerontology, 2007. – V. 8, N 5. – P. 499–504. 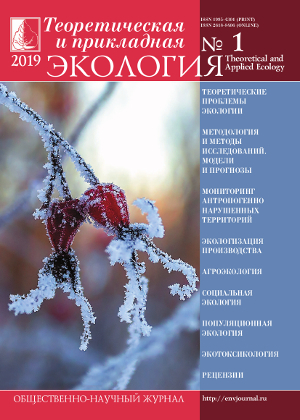 Moskalev A, Shaposhnikov M, Turysheva E. Life span alteration after irradiation in Drosophila melanogaster strains with mutations of Hsf and Hsps // Biogerontology, 2009. - V. 10, N1. - P. 3-11. Moskalev A.A., Shaposhnikov M.V. Pharmacological inhibition of phosphoinositide 3- and TOR-kinase improves survival of Drosophila melanogaster // Rejuvenation Res., 2010. – Vol. 13., N2-3. P. 246-247. Plyusnina EN, Shaposhnikov MV, Moskalev AA. Increase of Drosophila melanogaster lifespan due to D-GADD45 overexpression in the nervous system // Biogerontology, 2011. – Vol. 12 , N 3. P. 211-226. Moskalev AA, Plyusnina EN, Shaposhnikov MV. Radiation hormesis and radioadaptive response in Drosophila melanogaster flies with different genetic backgrounds: the role of cellular stress-resistance mechanisms // Biogerontology, 2011. – Vol. 12 , N 3. P. 253-263. Moskalev A., Shaposhnikov M. Pharmacological inhibition of NF-κB prolongs lifespan of Drosophila melanogaster // Aging, 2011. Vol. 3. N4. P. 391-394. Moskalev AA, Smit-McBride Z, Shaposhnikov MV, Plyusnina EN, Zhavoronkov A, Budovsky A, Tacutu R, Fraifeld VE. Gadd45 proteins: Relevance to aging, longevity and age-related pathologies. Ageing Res Rev, 2012. Vol. 11. N1. P.51-66. Anisimov VN, Bartke A, Barzilai N, Batin MA, Blagosklonny MV, Brown-Borg H, Budovskaya Y, Campisi J, Friguet B, Fraifeld V, Franceschi C, Gems D, Gladyshev V, Gorbunova V, Gudkov AV, Kennedy B, Konovalenko M, Kraemer B, Moskalev A, Petropoulos I, Pasyukova E, Rattan S, Rogina B, Seluanov A, Shaposhnikov M, Shmookler Reis R, Tavernarakis N, Vijg J, Yashin A, Zimniak P. The Second International Conference "Genetics of Aging and Longevity" // Aging, 2012. Vol. 4. N5. P. 305-317. Moskalev A, Plyusnina E, Shaposhnikov M, Shilova L, Kazachenok A, Zhavoronkov A. The role of D-GADD45 in oxidative, thermal and genotoxic stress resistance // Cell Cycle. 2012. V. 11. N22. P. 4222 - 4241. Zhavoronkov A, Smit-McBride Z, Guinan KJ, Litovchenko M, Moskalev A. Potential therapeutic approaches for modulating expression and accumulation of defective lamin A in laminopathies and age-related diseases // J Mol Med (Berl). 2012. V. 90. N12. P. 1361-1389. Shostal O.A., Moskalev A.A. The genetic mechanisms of the influence of the light regime on the lifespan of Drosophila melanogaster // Front Genet. 2012. N3. P. 325. Moskalev AA, Shaposhnikov MV, Plyusnina EN, Zhavoronkov A, Budovsky A, Yanai H, Fraifeld VE. The role of DNA damage and repair in aging through the prism of Koch-like criteria. Ageing Res Rev, 2013. Vol. 12. N2. P. 661–684. Danilov A., Shaposhnikov M., Plyusnina E., Kogan V., Fedichev P., Moskalev A. Selective anticancer agents suppress aging in Drosophila // Oncotarget, 2013. Vol.4, No 9. P. 1527-1546. Moskalev A, Shaposhnikov M, Snezhkina A, Kogan V, Plyusnina E, Peregudova D, Melnikova N, Uroshlev L, Mylnikov S, Dmitriev A, Plusnin S, Fedichev P, Kudryavtseva A. Mining gene expression data for pollutants (dioxin, toluene, formaldehyde) and low dose of gamma-irradiation // PLoS One, 2014. Vol. 9, N1. - P.e86051. - doi: 10.1371/journal.pone.0086051. Zhavoronkov A., Buzdin A.A., Garazha A.V., Borisov N.M., Moskalev A.A. Signaling pathway cloud regulation for in silico screening and ranking of the potential geroprotective drugs // Front. Genet., 2014. - Vol. 5, P. 1-6. - doi: 10.3389/fgene.2014.00049. Moskalev A.A., Aliper A.M., Smit-McBride Z., Buzdin A., Zhavoronkov A. Genetics and epigenetics of aging and longevity // Cell Cycle, 2014. Vol. 13, N7. P. 1063 - 1077. 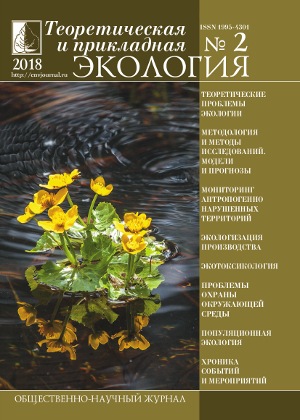 Bgatova N, Dubatolova T, Omelyanchuk L, Plyusnina E, Shaposhnikov M, Moskalev A. Gadd45 expression correlates with age dependent neurodegeneration in Drosophila melanogaster // Biogerontology, 2015. V. 16, N1, P. 53-61. Craig T, Smelick C, Tacutu R, Wuttke D, Wood SH, Stanley H, Janssens G, Savitskaya E, Moskalev A, Arking R, de Magalhaes JP. The Digital Ageing Atlas: integrating the diversity of age-related changes into a unified resource // Nucleic Acids Res. 2015. V. 43, N D1, Pp. D873-D878. Moskalev A, Shaposhnikov M, Plyusnina E, Plyusnin S, Shostal O, Aliper A, Zhavoronkov A. Exhaustive data mining comparison of the effects of low doses of ionizing radiation, formaldehyde and dioxins // BMC Genomics, 2014 - V. 15, Suppl 12. - P. S5. He C., Tsuchiyama S.K., Nguyen Q.T., Plyusnina E.N., Terrill S.R., Sahibzada S., Patel B., Faulkner A.R., Shaposhnikov M.V., Tian R., Tsuchiya M., Kaeberlein M., Moskalev A.A., Kennedy B.K., Polymenis M. Enhanced Longevity by Ibuprofen, Conserved in Multiple Species, Occurs in Yeast through Inhibition of Tryptophan Import // PLoS genetics. 2014. Vol. 10, N 12. P. e1004860. Aliper A.M., Csoka A.B., Buzdin A., Jetka T., Roumiantsev S., Moskalev A., Zhavoronkov A. Signaling pathway activation drift during aging: Hutchinson-Gilford Progeria Syndrome fibroblasts are comparable to normal middle-age and old-age cells // Aging, 2015. - V. 7, N1. - P. 26-37. Velegzhaninov I, Mezenceva V, Shostal O, Baranova A, Moskalev A. Age dynamics of DNA damage and Cpg methylation in the peripheral blood leukocytes of mice // Mutation Research (Fundamental and Molecular Mechanisms of Mutagenesis), 2015. V. 775. P. 38-42. Zhikrevetskaya S, Peregudova D, Danilov A, Plyusnina E, Krasnov G, Dmitriev A, Kudryavtseva A, Shaposhnikov M, Moskalev A. Effect of Low Doses (5-40 cGy) of Gamma-irradiation on Lifespan and Stress-related Genes Expression Profile in Drosophila melanogaster // PLoS One, 2015. Vol. 10, N. 8 - P. e0133840. - doi: 10.1371/journal.pone.0133840. Proshkina EN, Shaposhnikov MV, Sadritdinova AF, Kudryavtseva AV, Moskalev AA. Basic mechanisms of longevity: A case study of Drosophila pro-longevity genes // Ageing Res Rev, 2015. Vol. 24, Part B - P. 218-231, doi: 10.1016/j.arr.2015.08.005. Danilov A, Shaposhnikov M, Shevchenko O, Zemskaya N, Zhavoronkov A, Moskalev A. Influence of non-steroidal anti-inflammatory drugs on Drosophila melanogaster longevity // Oncotarget, 2015. Vol. 6. N23. P.19428-19444. Moskalev A, Chernyagina E, de Magalhães JP, Barardo D, Thoppil H, Shaposhnikov M, Budovsky A, Fraifeld VE, Garazha A, Tsvetkov V, Bronovitsky E, Bogomolov V, Scerbacov A, Kuryan O, Gurinovich R, Jellen LC, Kennedy B, Mamoshina P, Dobrovolskaya E, Aliper A, Kaminsky D, Zhavoronkov A. Geroprotectors.org: a new, structured and curated database of current therapeutic interventions in aging and age-related disease // Aging (Albany NY). 2015. Vol. 7, N9. P.616-628. 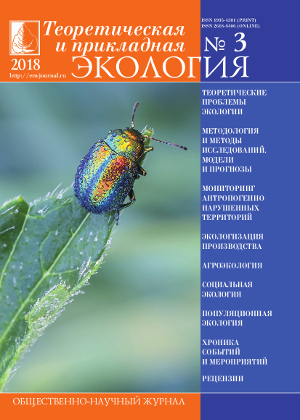 Shaposhnikov M, Proshkina E, Shilova L, Zhavoronkov A, Moskalev A. Lifespan and Stress Resistance in Drosophila with Overexpressed DNA Repair Genes // Sci Rep. 2015, Vol. 5. N 15299. doi: 10.1038/srep15299. P. 1-12. Moskalev A., Zhikrivetskaya S., Krasnov G., Shaposhnikov M., Proshkina E., Borisoglebsky D., Danilov A., Peregudova D., Sharapova I., Dobrovolskaya E., Solovev I., Zemskaya N., Shilova L., Snezhkina A., Kudryavtseva A. A comparison of the transcriptome of Drosophila melanogaster in response to entomopathogenic fungus, ionizing radiation, starvation and cold shock // BMC Genomics 2015, 16(Suppl 13):S8 doi:10.1186/1471-2164-16-S13-S8. Life Extension - Lessons from Drosophila /Vaiserman A, Moskalev A, Pasyukova E (Eds. 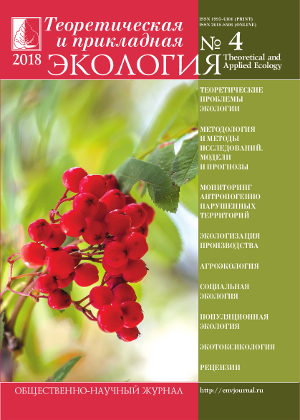 ), Springer, 2015, 353 p.
Moskalev A., Zhikrivetskaya S., Shaposhnikov M., Dobrovolskaya E., Gurinovich R., Kuryan O., Pashuk A., Jellen L.C., Aliper A., Peregudov A., Zhavoronkov A. Aging Chart: a community resource for rapid exploratory pathway analysis of age-related processes // Nucleic Acids Res. 2016. Vol. 44, N D1. P. D894-D899. Zhavoronkov A, Moskalev A. Editorial: Should We Treat Aging as a Disease? Academic, Pharmaceutical, Healthcare Policy, and Pension Fund Perspectives. Front Genet. 2016 Feb 16;7:17. doi: 10.3389/fgene.2016.00017. Moskalev A, Chernyagina E, Tsvetkov V, Fedintsev A, Shaposhnikov M, Krut'ko V, Zhavoronkov A, Kennedy BK. Developing criteria for evaluation of geroprotectors as a key stage toward translation to the clinic. Aging Cell. 2016. Vol. 15. N3. P. 407-415. doi: 10.1111/acel.12463. Putin E, Mamoshina P, Aliper A, Korzinkin M, Moskalev A, Kolosov A, Ostrovskiy A, Cantor C, Vijg J, Zhavoronkov A. Deep biomarkers of human aging: Application of deep neural networks to biomarker development. Aging (Albany NY). 2016 May 18. Kudryavtseva AV, Krasnov GS, Dmitriev AA, Alekseev BY, Kardymon OL, Sadritdinova AF, Fedorova MS, Pokrovsky AV, Melnikova NV, Kaprin AD, Moskalev AA, Snezhkina AVю Mitochondrial dysfunction and oxidative stress in aging and cancer. Oncotarget. 2016 Jun 5. doi: 10.18632/oncotarget.9821. Kudryavtseva AV, Lipatova AV, Zaretsky AR, Moskalev AA, Fedorova MS, Rasskazova AS, Shibukhova GA, Snezhkina AV, Kaprin AD, Alekseev BY, Dmitriev AA, Krasnov GS. Important molecular genetic markers of colorectal cancer. Oncotarget. 2016 Jun 2. doi: 10.18632/oncotarget.9796. Pasyukova EG, Moskalev A. Editorial: Proceedings of the 3rd International Conference on Genetics of Aging and Longevity. Front Genet. 2016 Jun 24;7:119. doi: 10.3389/fgene.2016.00119. Aliper A, Belikov AV, Garazha A, Jellen L, Artemov A, Suntsova M, Ivanova A, Venkova L, Borisov N, Buzdin A, Mamoshina P, Putin E, Swick AG, Moskalev A, Zhavoronkov A. In search for geroprotectors: in silico screening and in vitro validation of signalome-level mimetics of young healthy state. Aging (Albany NY). 2016 Sep 24. doi: 10.18632/aging.101047.